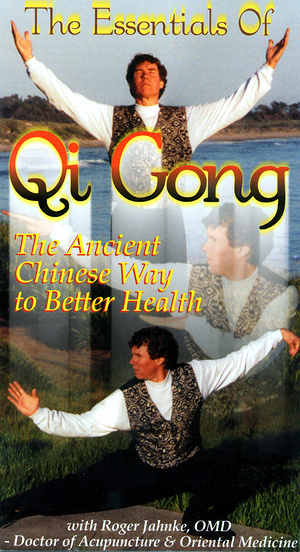 Dr. Roger Jahnke reveals profound insights into the ancient and remarkable Chinese practices called Qi Gong (Chi Kung). Qigong and its offspring Tai Chi will revolutionize health care and provide powerful tools for spiritual practice and performance enhancement. This radical yet mild combination of breath practice, gentle body movement and meditation literally activates our "healer within" to produce remarkable inner healing elixirs. Dr. Jahnke reflects on a multitude of incredible topics. He introduces in a demonstration format four amazing yet simple Qigong methods that could be followed as a brief practice buddy (one is fairly advanced). He then explains numerous practical applications plus some of the deeper secrets of Qigong. This program is part documentary, part demonstration. If you seek a practice oriented program please see Qigong – Chi Kung: Awakening and Mastering the Medicine Within.